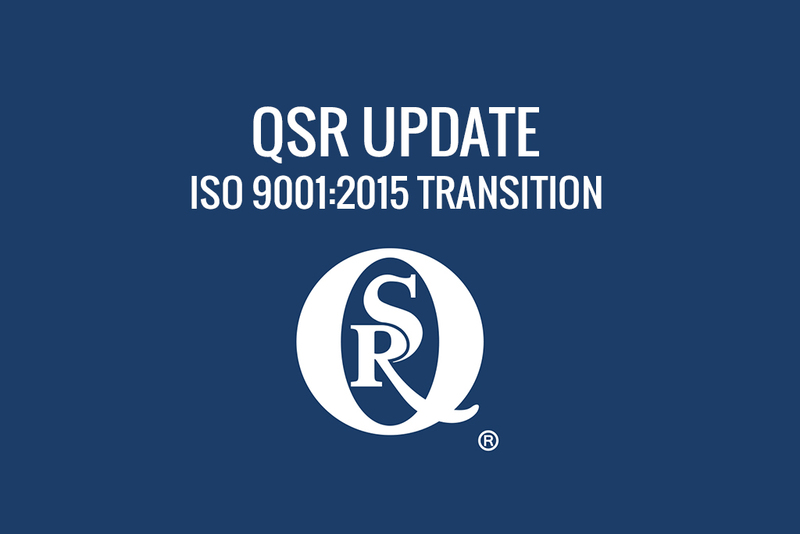 This email will be the first of more, hopefully, informational emails regarding your ISO 9001:2015 transition efforts. First, we appreciate the relationship we have with each of you and want you to feel very welcome to contact us regarding business and auditing aspects. As each of you know, we cannot consult, however I can give you information regarding these transitions. Start looking at your processes and considering how you approach risk based thinking. You do it, now become aware of it. Along with Carol Tillman, I am always available to answer questions or assist you – so give either of us a shout! You can also visit our Website www.QSR.com and our LinkedIn Company Page to find this and other information. QSR® is an accredited third party certification body encompassing ISO 9001, ISO 14001, OHSAS 18000, RC 14001, RCMS, AS 9100 and ISO 13485 standards.